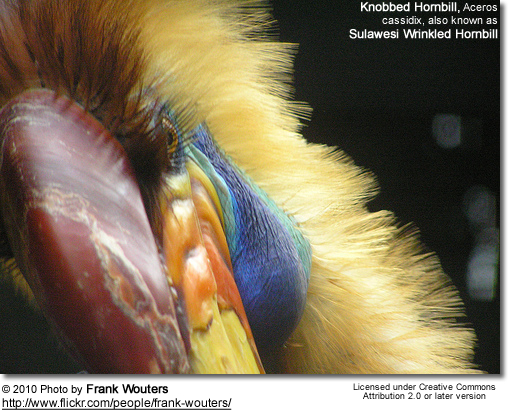 The Knobbed Hornbill, Aceros cassidix - also known as Sulawesi Wrinkled Hornbill - is an Indonesian endemic that occurs in the tropical evergreen forests of Sulawesi, Buton, Lembeh, Togian and Muna Island. 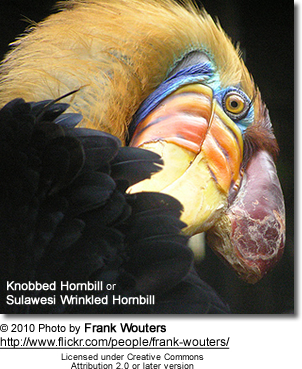 This large black hornbill has a yellow bill, white tail feathers, pale blue skin around eye, blackish feet and bare dark blue throat. 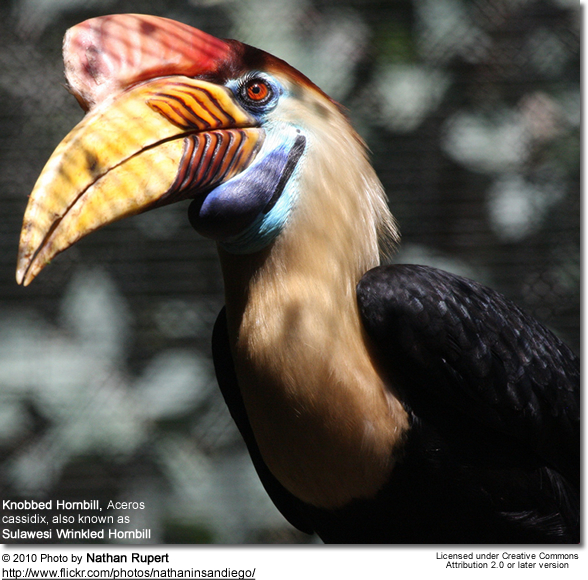 The male has rufous buff face and neck, orange-red eyes and a high reddish casque (a large display growth on the upper mandible of the bill). 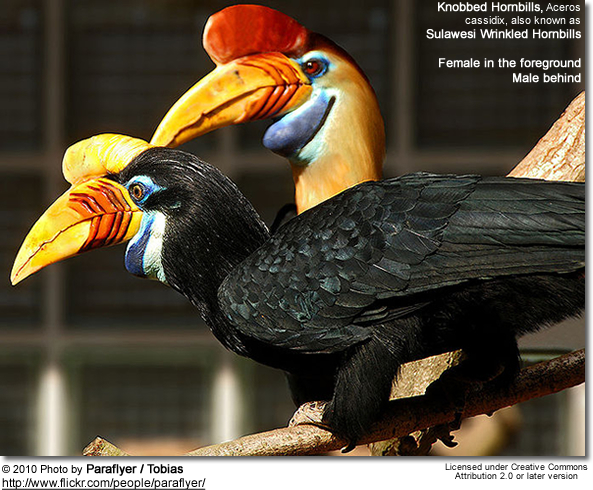 he female has black face and neck, yellow casque and brownish eyes. They mostly feed on fruits and figs. 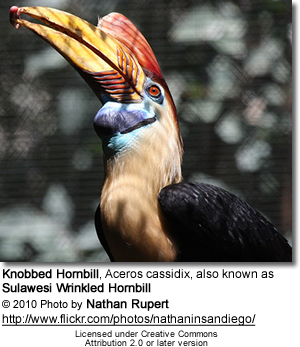 The Knobbed Hornbill is believed to be a monogamous species (loyal to one mate).. The female seals herself inside a tree hole for egg-laying to keep out predators. 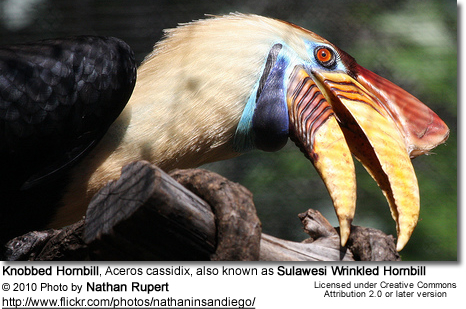 During this time, the male will provide foods for the female and the chicks through a small opening.